Brian Marron is Chair of the firm’s Financial Services group. His practice focuses on banking, real estate, closely-held companies, and financial services matters. He has represented private and institutional developers on matters pertaining to land use and development, leasing, sales, finance, and choice of entity issues. He also has represented institutional lenders on matters pertaining to real estate and asset-based lending and the management and disposition of troubled assets. In addition, he has assisted entrepreneurs in raising capital through the private placement of equity. Brian is a frequent lecturer on real estate and finance issues. He is AV-rated by Martindale-Hubbell. Brian is an active member of the Bar Association of the City of Richmond. He was the recipient of the 1998 Pro-Bono Publico Award given to a Richmond Bar Association member demonstrating outstanding work with poor and underprivileged citizens for his work as President of Richmond Metropolitan Habitat for Humanity. 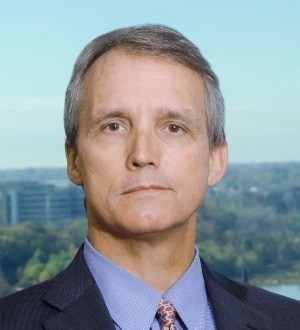 He currently serves on the board of the Greater Richmond Bar Foundation, and in 2010, he was named a Fellow of the Virginia Law Foundation. Brian envisioned and helped to organize the Pro Bono Clearinghouse, a premier project of the Greater Richmond Bar Foundation.